Although Johnson & Johnson, the world’s largest manufacturer of talcum powder, still denies there is any link between its products and ovarian cancer, juries throughout the United States continue to side with victims and their families. On August 22, a Los Angeles jury ordered Johnson & Johnson to pay over $400 million in damages to a 63-year-old woman who has spent more than a decade fighting ovarian cancer. According to the Daily Hornet, the plaintiff has been hospitalized for ongoing cancer treatment–she recently “had a softball-sized tumor removed from her ovaries”–and could not attend the trial personally. 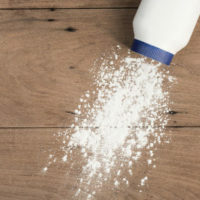 Johnson & Johnson’s continued rejection of warning labels–coupled with its outright denial of any link between talcum powder and cancer–proved costly with the jury. Not only did it award the plaintiff $70 million in compensatory damages–i.e., to cover her medical expenses, pain and suffering, and other emotional anguish–it also imposed $347 million in punitive damages, bringing the total award to $417 million. Punitive damages are designed to punish a defendant for gross negligence rather than compensate individual victims. Johnson & Johnson plans to appeal the verdict. According to Reuters, the company “has so far not announced a litigation reserve for talc cases,” indicating management still does not take these lawsuits seriously. Yet already this year, Johnson & Johnson lost four separate talcum powder lawsuits in St. Louis, Missouri, with verdicts ranging between $55 million and $110 million. Clearly, talcum powder lawsuits are not going away. There are thousands more cases like the ones in Los Angeles and St. Louis pending before courts throughout the country. And while a recent U.S. Supreme Court ruling may restrict the ability of certain out-of-state plaintiffs to bring claims, that did not affect the Los Angeles case, where venue was not an issue. The truth is that Johnson & Johnson will not be able to get rid of all talcum powder lawsuits through clever procedural wrangling. And when juries hear the actual evidence, they tend to find in favor of plaintiffs. If you have ovarian cancer and believe that your usage of talcum powder may be responsible, it is critical to seek qualified legal advice. Despite the large verdicts described above, these cases are not quick or easy. It can take months of investigation and planning. If you wish to learn more from a Knoxville talcum powder lawyer, contact the offices of Fox & Farley, Attorneys at Law, to schedule a free consultation today.